Last week, here inside the Beltway, it all came apart. I'd planned to spend last Monday doing laundry. Having spent my usual Friday laundry day traveling to officiate an out of town wedding, things were really piled up. So as soon as the boys were out of the door, I gathered the accumulated piles and mounds and mountains of smells-like-teen-spirit socks and underwear, and prepped them all in the downstairs staging area. The first load of what was going to be a seven-load day went in, and then there was a knock at the door. It was my neighbor, the not-entirely-sane-one, and I talked with him for a while about the mess of his life, trying yet again with gentle suasion to get him to register that his disability insurance company is not in cahoots with his next-door neighbor to monitor him with invisible lasers. I must have missed the episodes of Mr. Roger's Neighborhood that prepped you for this, but the basic principles of kindness and listening still apply no matter what. When he finally wandered off, I went downstairs to check the laundry. All was not well. The stench of smoke was everywhere, the sharp tang of burned metal. The smell came from our washer, which was six-years-new when we bought the house thirteen years ago. In it, a mound of half-washed socks and white towels, soaked but clean. It was a dead thing. As I wrung out the socks and the towels, I inhaled and assessed. The smell was that of a fried motor. A really expensive repair. It was time to replace it. Just had to happen, dang it. "Everything is money," as my wife groaned when I told her. I mused over this as I went over to my in-laws with a carload of laundry, feeling all the world like a college student again. What to get? The old washer was a basic General Electric, functionally identical to the washers I sorta kinda used when I was young. It was all knobs and clackity dials. A simple, basic machine. Tell it to do something, and it does exactly that. Period. I looked around for one just like it, but those that were out there were cheap, but not inexpensive. I've learned the hard way that cheap stuff is often cheap for a reason. When buying, find objective research, don't be distracted by hype or net-trollery. And get what you need, not what you think will make you appear a certain way in the eyes of others. OK, yeah, I know. Wild midlife clotheswasher purchasing sprees are a rare thing, but still. Focus on reliability, efficiency, and practicality. 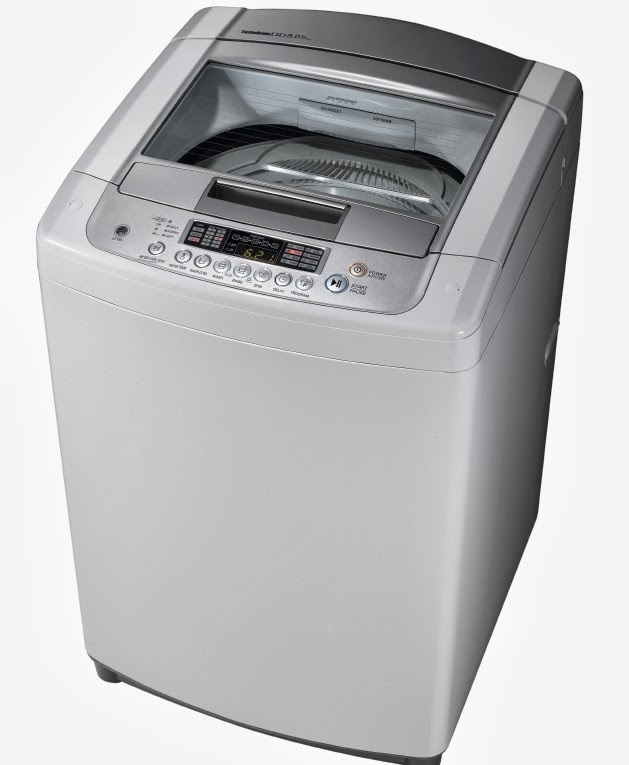 What we needed arrived yesterday afternoon, a moderately-priced hyper-efficient Korean-designed and built LG top-loader. But unlike any other washer I'd ever used, it wasn't mechanical. There were no knobs and buttons and clacky dials. Just a control panel. When I pressed that ubiquitous circle-and-a-line power button, it started up with a cheery tweedle-dee-dee of ascending tones. "Hi there Industrious and Capable Housewife," it was designed to say. "I'm your Happy Fun Washer Robot Pal!" Labels all across its surface announced that it was a smart machine, filled with sensors and all sorts of hifalutin' gimcrackery. In cars and phones I like that. But this was a washer. I did not trust it. I particularly did not trust it because it was so very simple. Put in the detergent. Put in the clothes. Tell it what kind of clothes they are. Press start. Period. In particular, there was no way to tell it how large the load was. This sort of freaked me out. No load size knob? How could that be? "I'll handle it! Trust me! Tweedle-dee-dee!" Sure you will, I thought, with visions of a robot-wash apocalypse playing out in my head, my basement filled with foam as it maniacally played The Sorcerer's Apprentice in cheery, ascending tones. And so I warily loaded it, and started it. And then I watched it suspiciously through the glass window in the top of the hatch. It noodled about for a moment. It rolled those socks and t-shirts around carefully, as if tasting them on its tongue, or passing them hand to hand. It spun them a bit, then stopped, then spun them again, accelerometers and sensors getting a feel for it. Then, with a decisive clunk, it filled up with water...just exactly enough to saturate and cover the clothes, no more, no less. Then, connected with that reality, it got to work. "I'll be done in fifty-two minutes! Tweedle-dee-dee!" I ran a few errands, and sure enough, when I got back, it was done. Perfect. For a complex system to work for you, it has to be both well-designed and capable of adapting and relating to reality. And you have to trust it. Amazingly enough, that's true even here inside the Beltway.